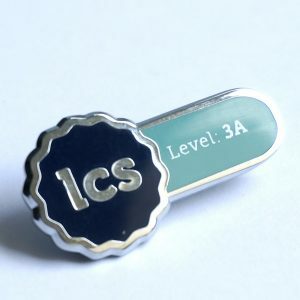 LCS Level 1c Pin Badge. 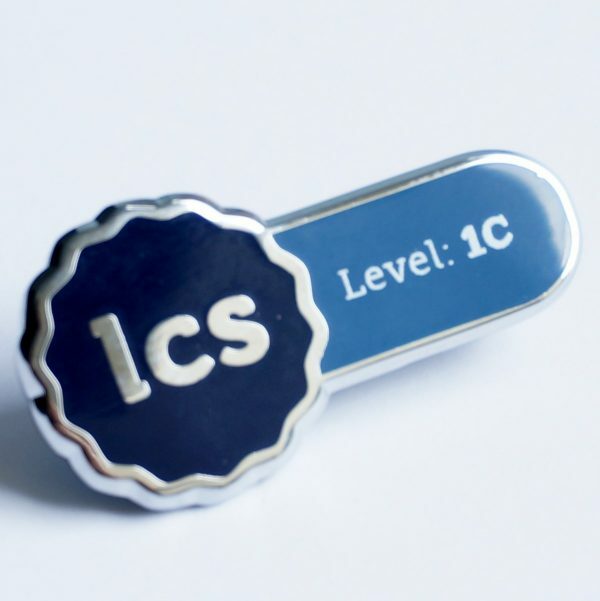 Designed for LCS practitioners with the Level 1c Certificate of Lean Competency, this exclusive enamel pin badge features the special LCS award design, featuring the logo and level identifier. The logo lettering is in silver, on the LCS dark blue background. 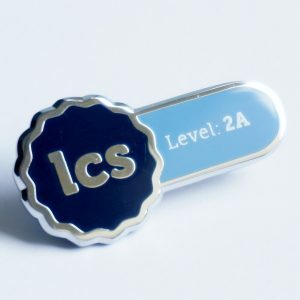 The award lettering is white, on the LCS Level 1 blue background. The entire badge is edged in silver. The brochure style fixing provides horizontal stability when attached to clothing. 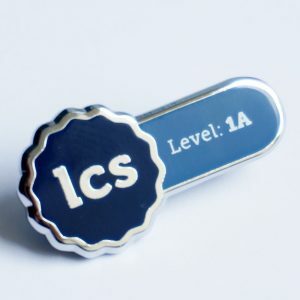 Designed exclusively for LCS practitioners with the Level 1c award, this handsome enamel pin badge features the LCS logo, with silver lettering edged on the LCS dark blue background. 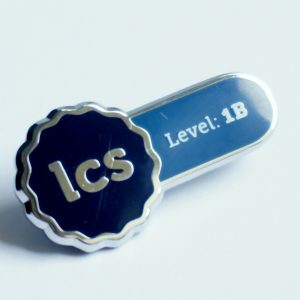 The right portion of the badge contains the award level on its bespoke Level 1 blue background and there’s a broach fixing to provide horizontal stability when fixed to office clothing or functional work wear.